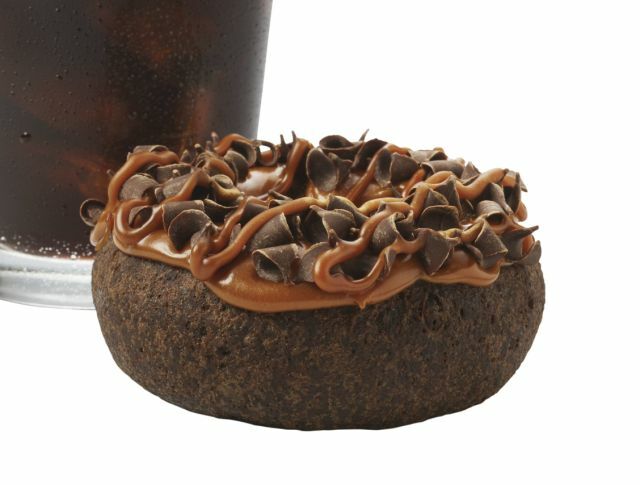 Dunkin' Donuts adds to this year's spring selection with the introduction of the new Caramel Chocoholic Donut. Available for a limited time at participating locations, the Caramel Chocoholic Donut features a chocolate cake donut dipped in caramel icing, sprinkled with semi-sweet chocolate curls, and then drizzled with more caramel icing. The new donut joins a seasonal menu that includes the Spring Fling Donut, three Girl Scout Cookies coffee flavors, and the Brown Sugar Chipotle Bacon Breakfast Sandwich.